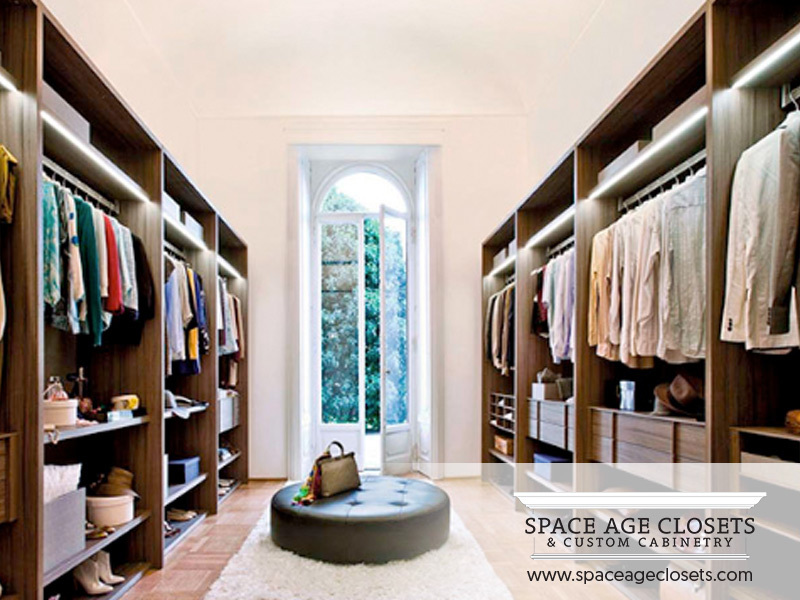 A custom built walk in closet design helps to make your room seem much bigger than it really is by making use of both the room’s horizontal and vertical space. Customized floor-to-ceiling storage maximizes every inch of a space while creating aesthetic appeal. A beautiful and well-organized walk in closet will also reduce clutter throughout your home, as your belongings can be neatly stored inside your custom closet organizers. A custom built walk in closet allows you the flexibility to organize your belongings in a perfectly organized and efficient way, so you can quickly find what you need. By using custom closet organizers, you can organize your accessories, clothing, jewelry, and shoes all in one place by creating a designated spot for each item. For example, convenient pull-out shelves with dividers are perfect for folded clothes like jeans, sweaters, and t-shirts. 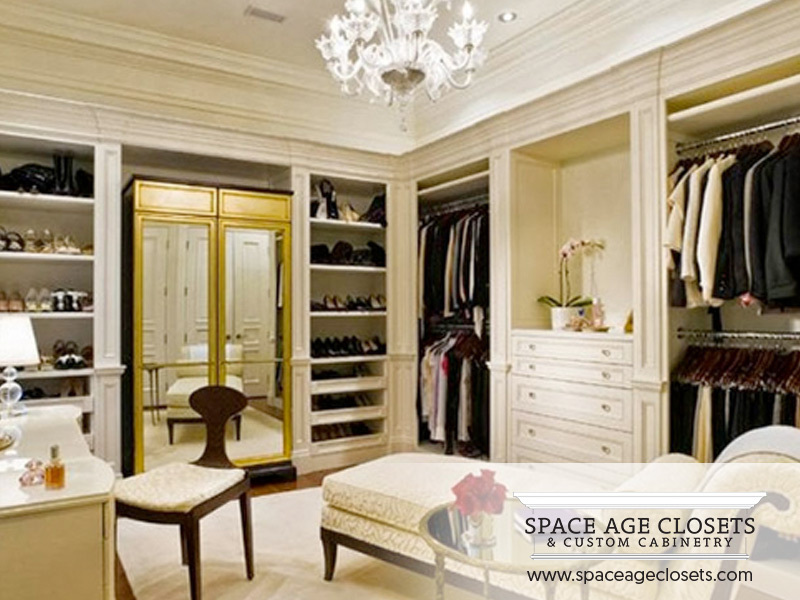 An open-closet concept makes getting dressed in the morning a quick and painless task. Custom closet organizers, such as shoe racks, pull-out bins and hampers, tiered hanging rods, and adjustable shelves, will allow you to easily display items in a beautiful and organized fashion. This in turn allows you to get ready and out the door faster each and every morning. If you are dreaming of beautiful, perfectly organized walk in closets in Toronto, you are not alone. 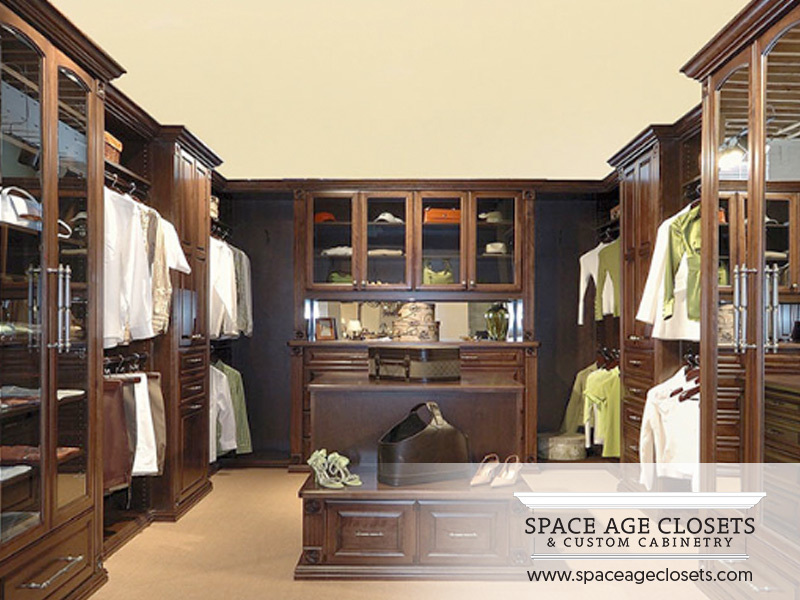 Space Age Closets and Custom Cabinetry has been serving Toronto and the Greater Toronto Area for over 30 years. We offer a wide array of custom storage solutions for every room in your home, including custom closet organizers and walk in closet designs. Contact us today for a complimentary professional in-home consultation, and explore our gallery to see our work for yourself.